As one of the most popular Christmas gifts last year, civilian drones are readily available to the public and can be used as a force for good. However, as the proliferation of drone technology continues, so increases the instances of drones being used for illicit, dangerous and sometimes deadly purposes. One ASX-listed technology company, Department 13 (ASX: D13), is ideally positioned to capture the opportunities in the drone market and, more importantly, keep the sky safe by meeting the ‘terror drone’ threat, and mitigating the risk of damage being caused by off course recreational drones. 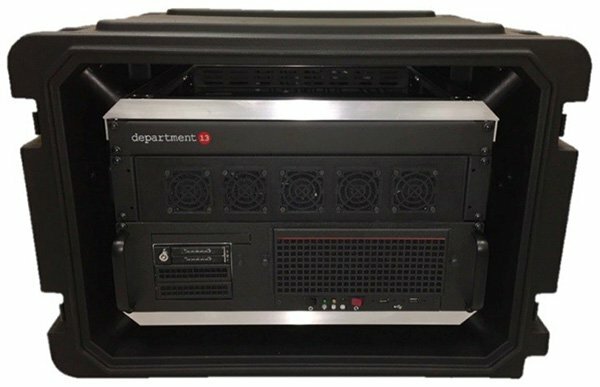 The $97.7M capped D13 is a US technology company which today launched its maiden counter-drone solution, MESMER . MESMER enables its operators to detect, identify and mitigate hostile or nuisance drones across a range of national security, defence or commercial scenarios. 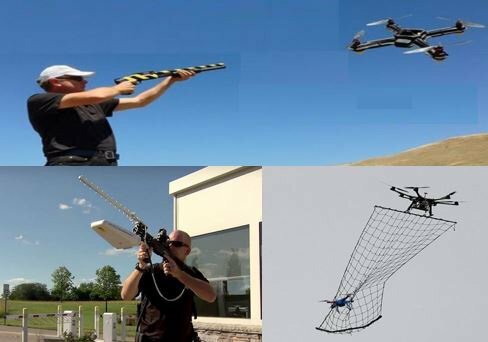 What makes MESMER unique is its ability to take control of the drone’s technology by manipulating the protocols being used by its original operator (speaking the same language as the individual transmitter does), and making the drone land safely when it flies into a defined exclusion zone. Remember, however, that D13 is an early stage company and investment success is no guarantee. Apply caution to your investment decision with regard to this stock. MESMER is very different to other technologies available in the market which jam or shoot drones down. Imagine being in a stadium cheering for your sports team and suddenly see a drone fly into the arena – it could contain a bomb, chemicals, explosives – or simply be a recreational drone off course. Whatever the case, it would be too much of a risk to shoot down the drone with thousands of people in the venue. Enter MESMER, which also has the capability to ‘white list’ drones, that is, distinguish between ones used for good – for instance Amazon, Domino’s delivery – and bad drones. The release of MESMER is expected to put the company front and centre of government bodies, security organisations and investors looking for a solid lead in the growing drone technology market. One of MESMER’s greatest strengths is that it can be seamlessly integrated into existing security and surveillance systems and will soon be effective on 90% of known drones . 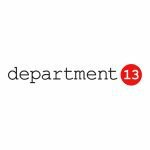 Department 13 (ASX:D13) is meticulously working through the catalogue of commercially available drones and so far has been able to take control of every single model it has tested MESMER against. “There is not a single drone that we haven’t been able to crack” , confirms Jonathan Hunter, Chairman and CEO of Department 13, with over 25 years’ experience within US Military and Government agencies. The MESMER technology was highlighted on January 19 in a segment on The Today Show in the USA – click on the image below to watch. D13 has been busily validating the technology in commercial and military trials, and MESMER has been showcased in live drone takeover demonstrations to US Government agencies and large commercial partners. Previous methods to mitigate drone threats have ranged from blasting a drone with a shotgun, snaring in a net, shooting with laser and in one rare case, targeting a $6M ballistic missile at a drone, unsuccessfully. D13 went public back in January 2016 and to date the company has undertaken two capital raisings bringing AU$12.5M into the business. The company has signed material contracts with the United States Department of Defence and other defence contractors highlighting the strength of its relationships. The opportunities for MESMER go beyond military or homeland security scenarios. Counter-drone technology is particularly attractive to airports , prisons and stadiums , all areas which are expected to provide growth opportunities in the near term. For instance, the organisers of the 2018 Gold Coast Commonwealth Games recently issued a tender seeking the provision of drones to enhance security and safety of the event. In November 2016, D13 was invited to demonstrate its MESMER technology at Metricon Stadium, the flagship venue for the event, where it performed a non-kinetic mitigation of multiple drones simultaneously. At the same time, there is no guarantee any deals will eventuate – such is the nature of speculative tech stocks. It’s always a good idea to seek professional financial advice before making your investment decision. In February 2016, a recreational drone crashed at the Australian War memorial during the last post ceremony. The drone hit the ground just metres from the former Australian Defence Minister Brendan Nelson. 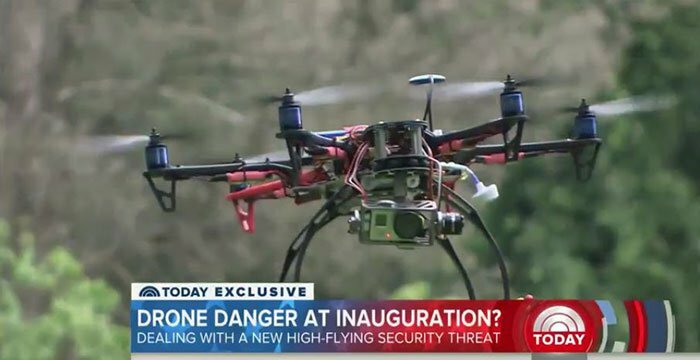 Months later in August, a drone crashed into a car on Sydney Harbour Bridge when its recreational operator lost control mid-flight. According to Mr Hunter, these sorts of incidents will escalate as the proliferation of drones continues. The idea that terrorist groups will also begin to utilise drones is no longer a hypothetical scenario, but a worrying reality. 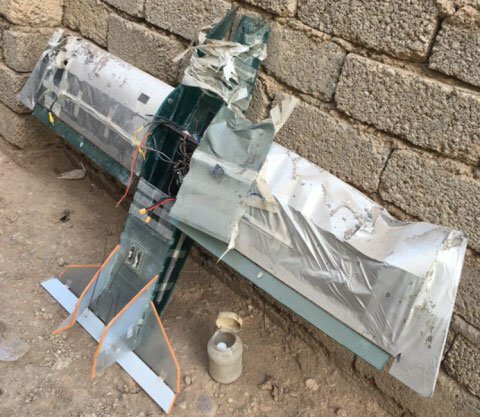 ISIS is now using drones armed with hand grenades as it battles with Iraqi forces in various parts of the country, and the organisation made a successful attack in October using commercially available drones, armed with explosives, to kill two Kurdish fighters and wound French troops. Drones have also found a new audience – drug traffickers – who use the technology for smuggling drugs across borders or into prisons. In fact, At least once a week a drone is flying over a prison handling a cell phone, a weapon or drugs. These examples illustrate just how easily unauthorised drones can fly into restricted areas to cause destruction or deliver contraband. The drone economy is estimated to grow to US$100BN in the next four years, meaning that an exponential amount of drones will be soon flying in the air. The US alone will see commercial drones in the skies this year. As governments around the world grapple with commercial drone regulation, investment in non-kinetic based drone mitigation technologies will rise and help secure control of commercial, public or government air space. D13 is able to sell into 37 countries and MESMER’s audience includes the government and commercial level: think about prisons, stadiums, sporting events, critical infrastructures, airports and military bases – the opportunity is far and beyond and this market in particular is estimated by Markets and Markets to reach US$1.14BN by 2022. However, there is no guarantee of the size of the market D13 may cut through, so please do your own research and consider your own personal circumstances and risk profile if considering an investment. This is just the beginning for D13. D13’s launch of MESMER is perfectly timed to meet both the threats and opportunities which exist in the drone economy.